Spice up your summer grilling with this traditional Mexican street food recipe. 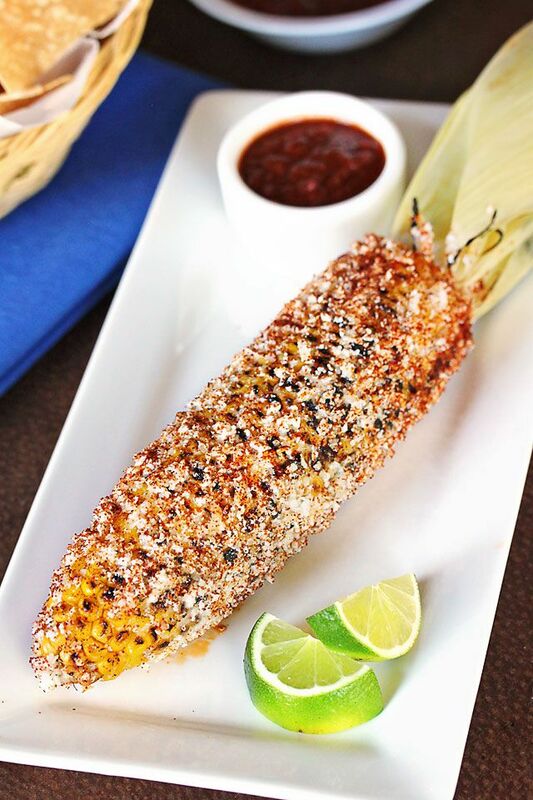 While ‘maiz’ refers to ‘corn’ in Spanish, the word ‘elote’ translates to ‘corn-on-the-cob’. The husk are traditionally left half-on to allow you to enjoy every last, deliciously flavored kernel without getting your hands messy. This dish is so simple to prepare and is sure to be a hit at your next summer fiesta! Buen Provecho! Remove corn from grill and brush with mayonnaise. Sprinkle with cotija cheese and the chile powder. Serve with lime wedge.